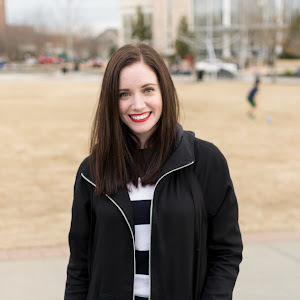 Self-Stitched Challenge - Week 4 and Final Thoughts | Jenny. Maker. I'm probably the last participant of the Self-Stitched September challenge to post for week four but I've been under-the-weather. Better late than never, right? So, let's see. For week four, I wore my New England style bracelet again (posted here), three different pairs of my handmade pajama pants (Simplicity 3571, reviewed last year), and my newly sewn green corduroy skirt. After a nice fall walk with DF and CoCo. P.S. I can't help but laugh at CoCo's tongue in this shot! So, having just completed my very first sewing challenge, what are my thoughts? Well, I stretched the rules a few times and just barely met my goal of at least one item per week but I did enjoy the challenge. 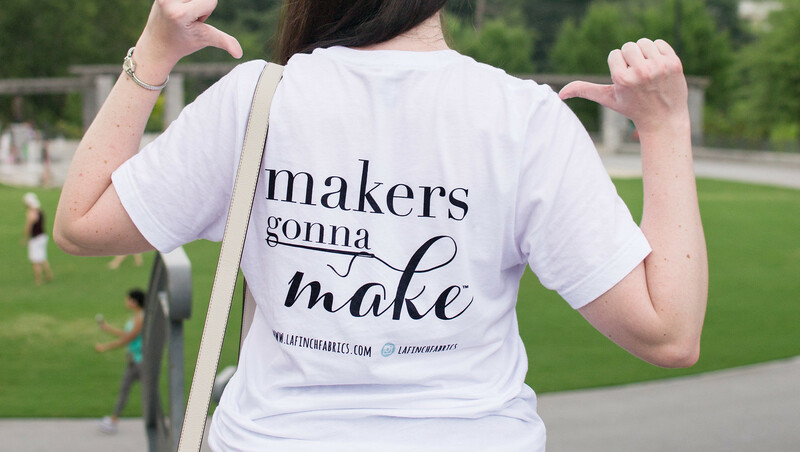 This event pushed me to actually wear what I make, which I expect was the point, and it encouraged me to make new items. I knew I was sorely lacking in fall garments, which is why I set my bar so low but, I had expected to be able to whip up at least one garment a week to keep up. This challenge pointed out just how frequently life gets in the way. Even as a housewife, I am fairly busy and my priorities are constantly being shifted. In fact, if it weren't for this challenge pushing me, I might not have made anything at all in September! Overall, I really liked participating in "Self-Stitched September '11" and will certainly be looking for more sewing challenges in the future! 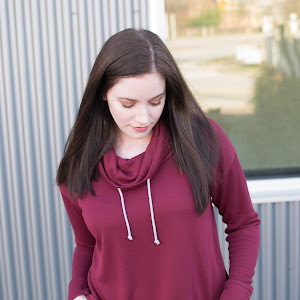 It was great to be pushed to self-expand my wardrobe but also to see the wide variety of garments other sewists from all over the world are making! The Flicker album is like a little inspiration lookbook and if you haven't popped by yet, you should! 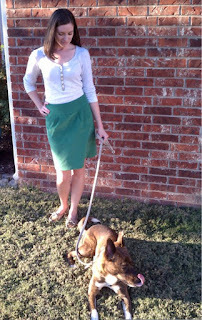 You can't go wrong with a classic corduroy skirt, especially for Fall, and especially in green. The color looks terrific on you. Thank you @Pam! That's so kind of you to say!